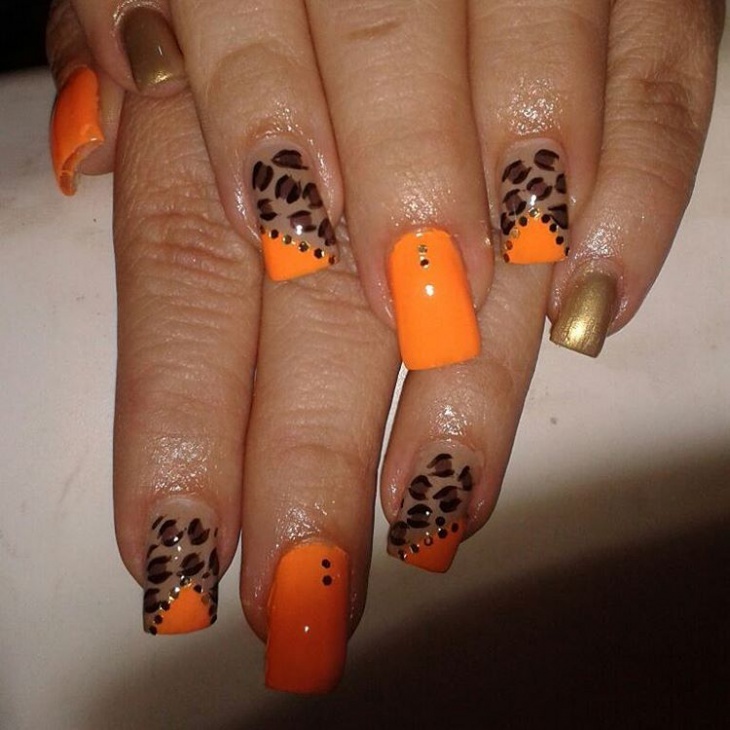 Animal print is one of the most popular and much-demanded nail art design. 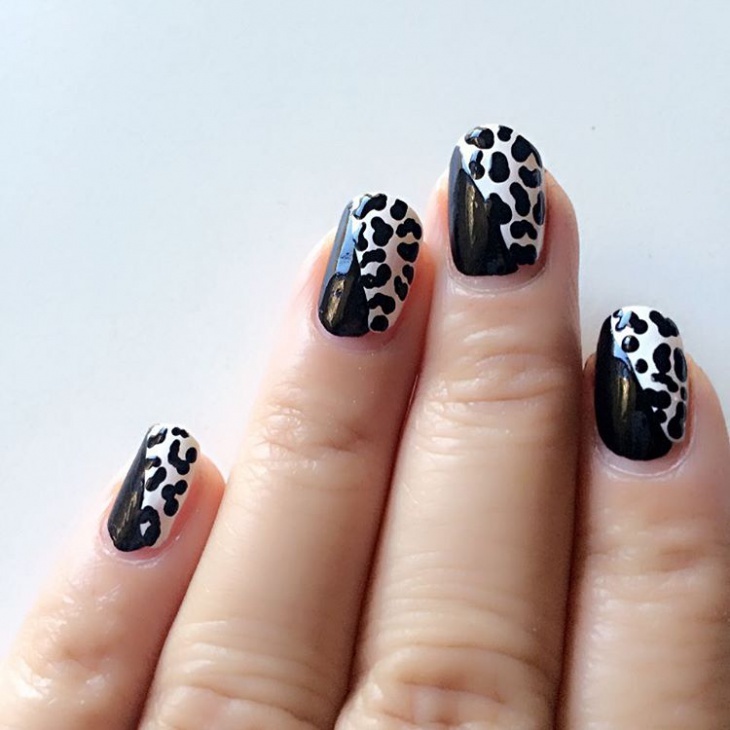 If you want to try something that can be edgy, pretty and adorable, do give animal print a try. 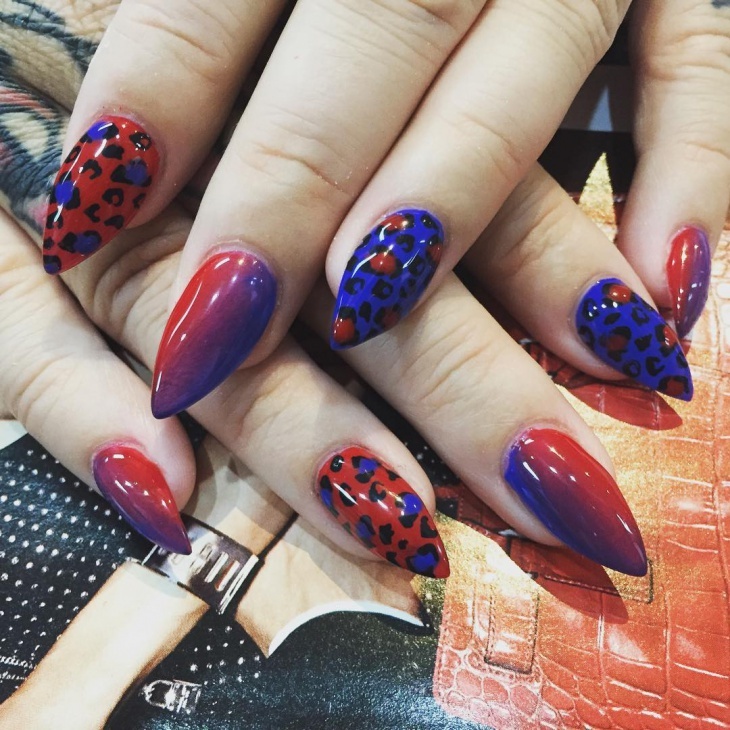 We decided to screen all over social media to find the perfect nail designs. 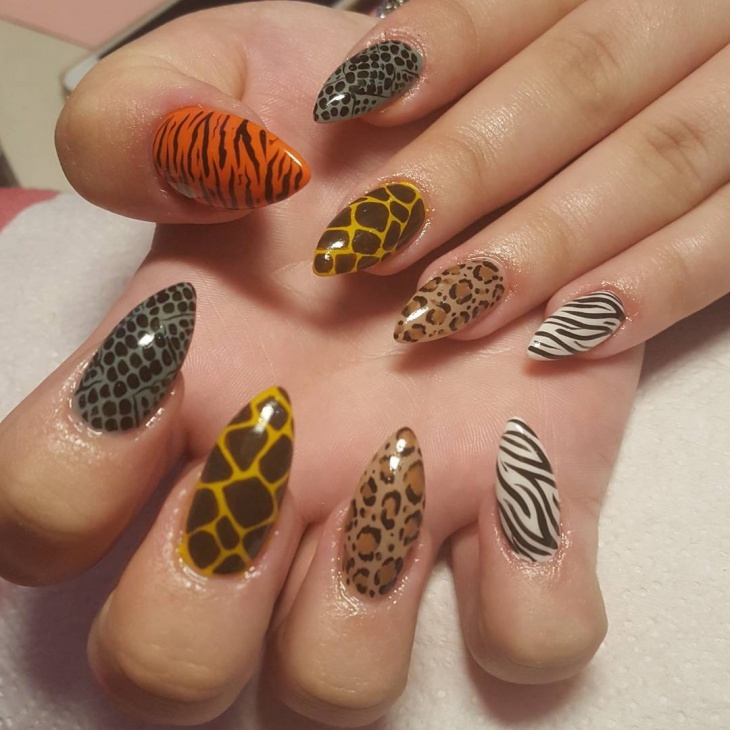 Finally, we found these animal print nail designs that we think are absolutely catchy. It’s time to get cat-y ladies. 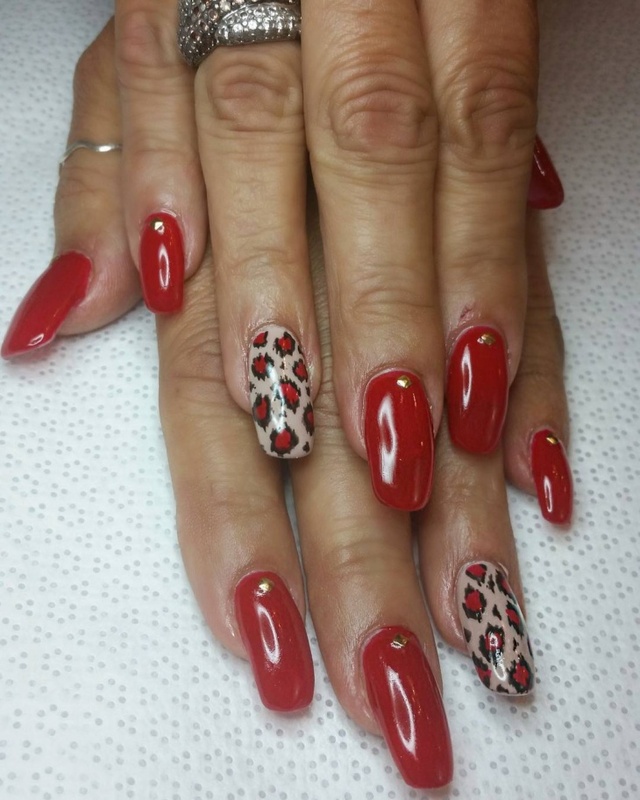 Flaunt those nails with this cheetah design and get all the attention you need. 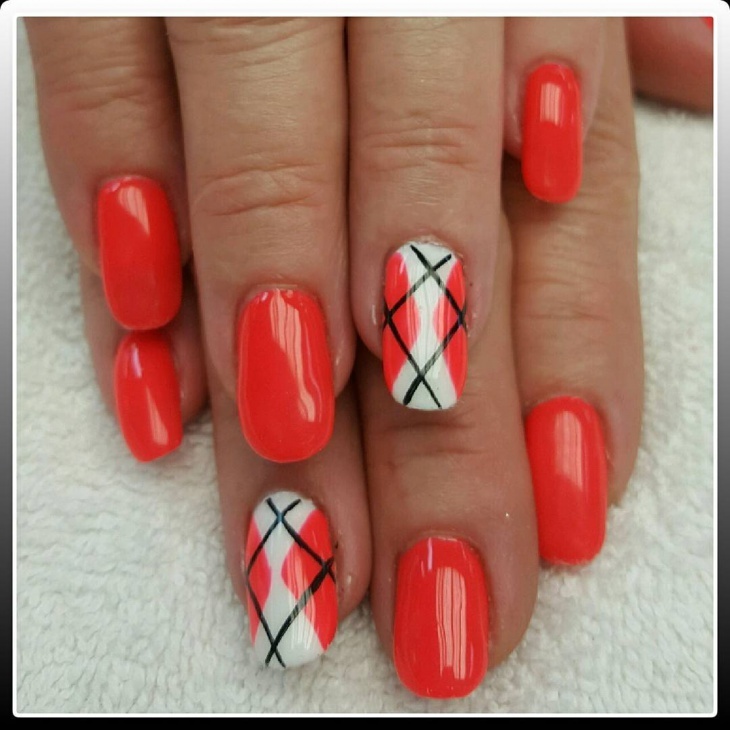 We love the color combination and to how perfectly this design is done. Look at these nails glowing. The blue-black combination makes it look eccentric and gives it a magnetic effect. You are going to be setting some trend after you get this done. Black and white stripes have always looked exquisite. 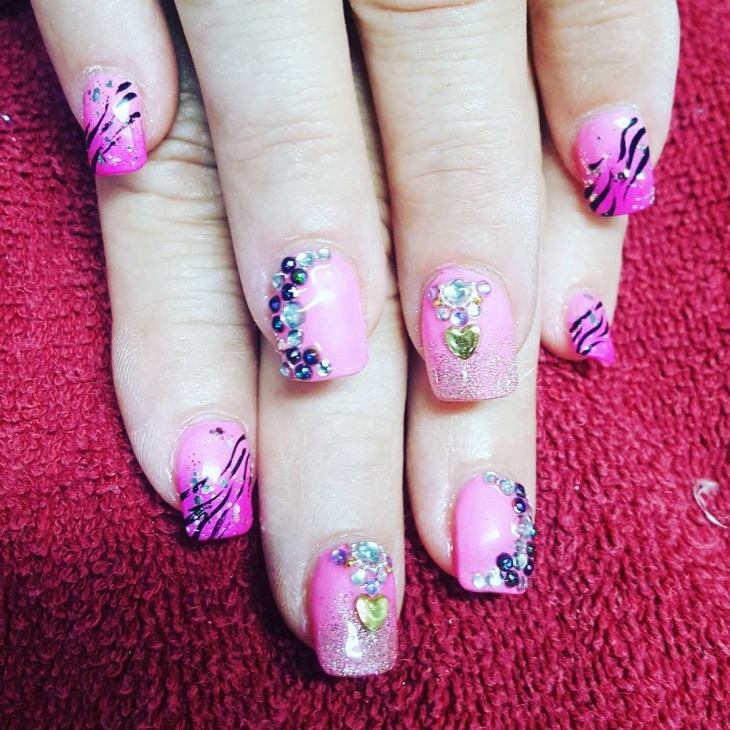 This nail art design gives out an eclectic look. The sea green color with a tinge of purple added to the end of it is perfect. We also love the glittery touch given to it. 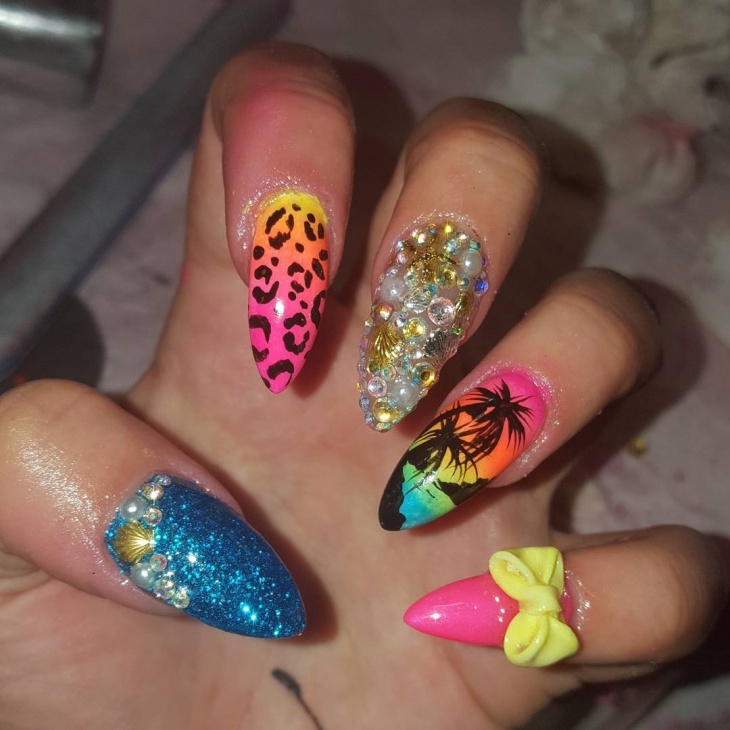 Bored of the usual round and square nails? 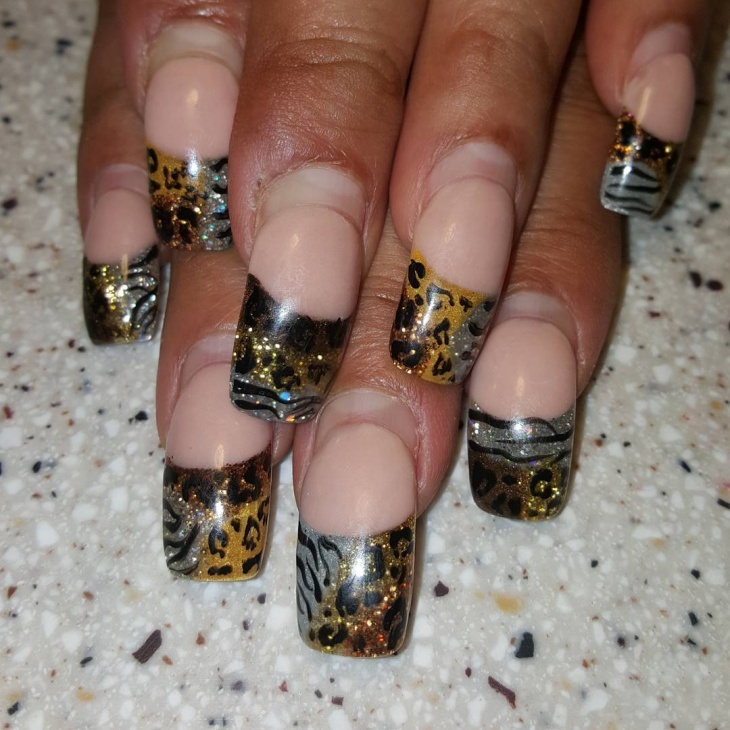 These pointy nails are something that is in fashion these days. 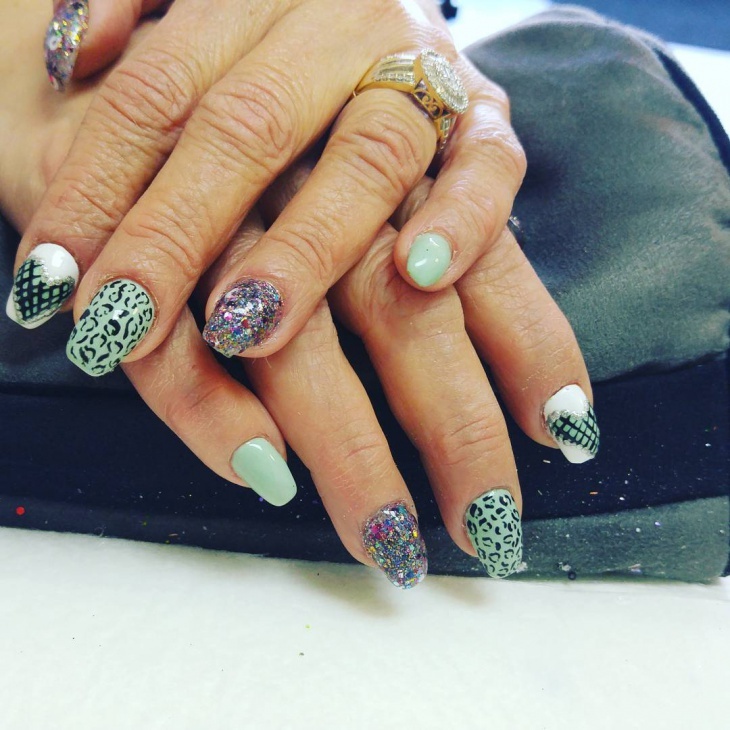 Imagine a combination of pointy nails and different animal design prints on each finger. Well this just calls out loud for attention. We love the detailing on each design. Black and white is a very different style. This design with half black and half white, white having black spots make it look contrastingly pretty. 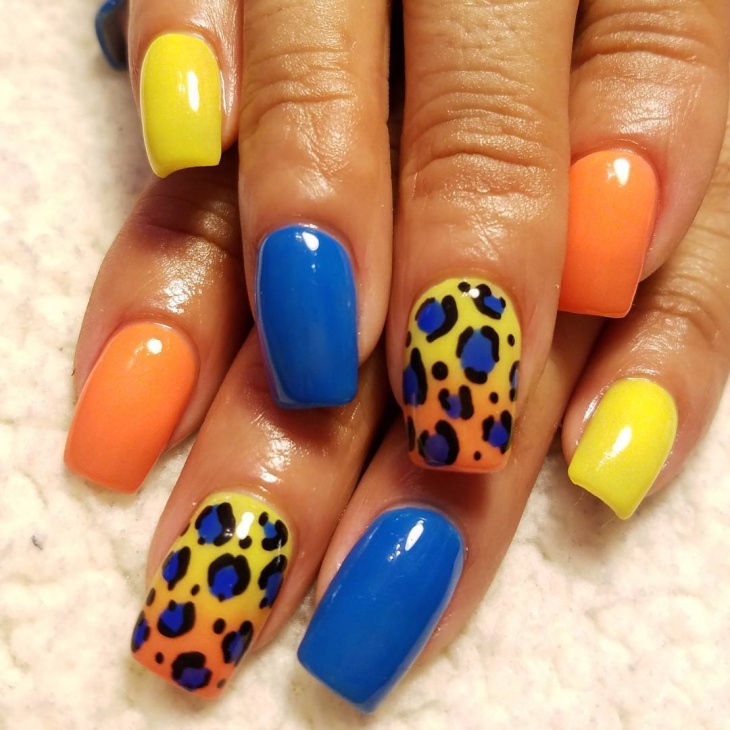 The design is offbeat and makes it look good for anyone with long well-shaped nails. 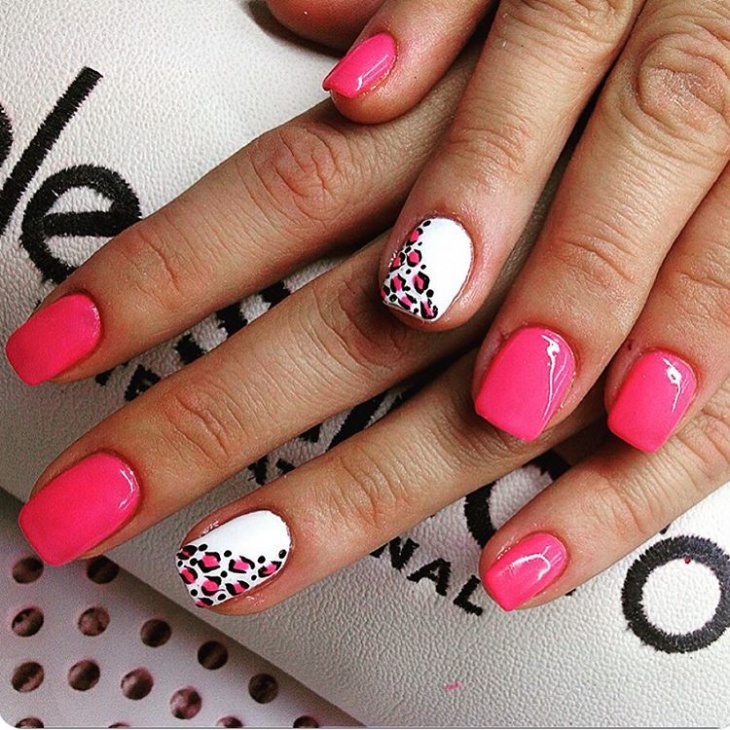 All you girls who love the color pink but want to style it in a different way. This design literally nails it from all angles. 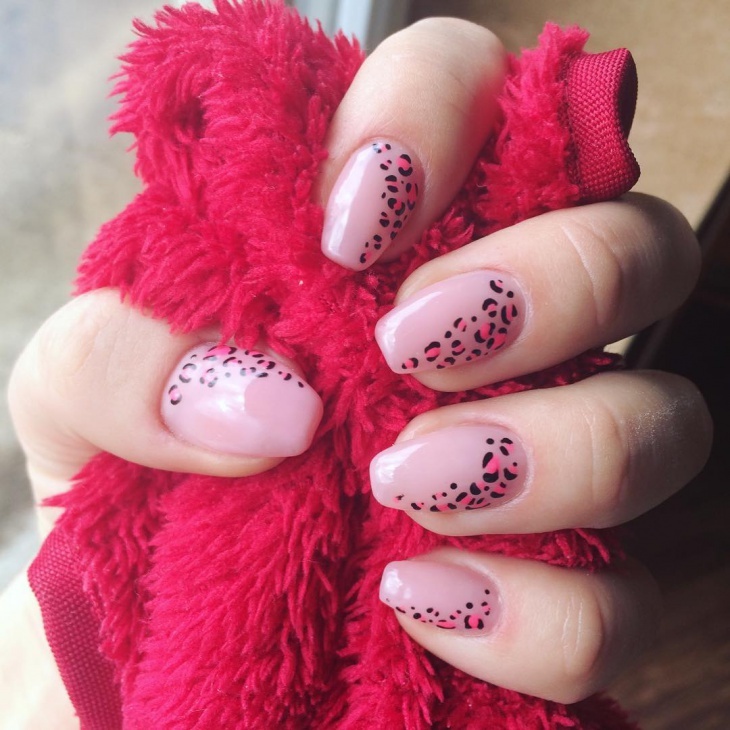 The pink takes over most part of the design while two nails stand out with its unique leopard print design. 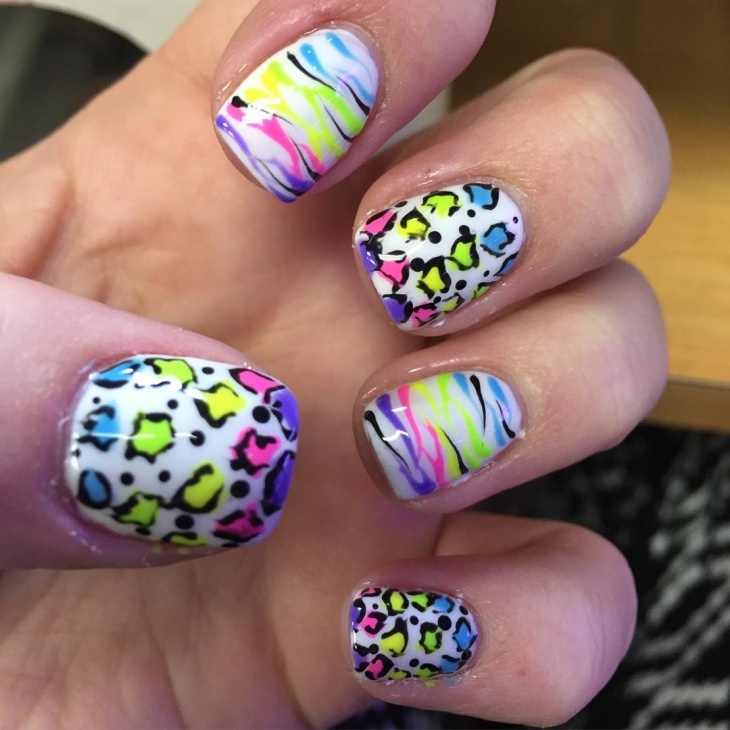 Colorful nails attract a lot of attention. Every color, every design expresses a different thing about you. If you love a lot of colors then don’t think too much, this design was meant for you and it looks perfect from every angle. It looks funky and different and it will stand out. We like going into the wild with the designs now and then. This design is cute and elegant at the same time. 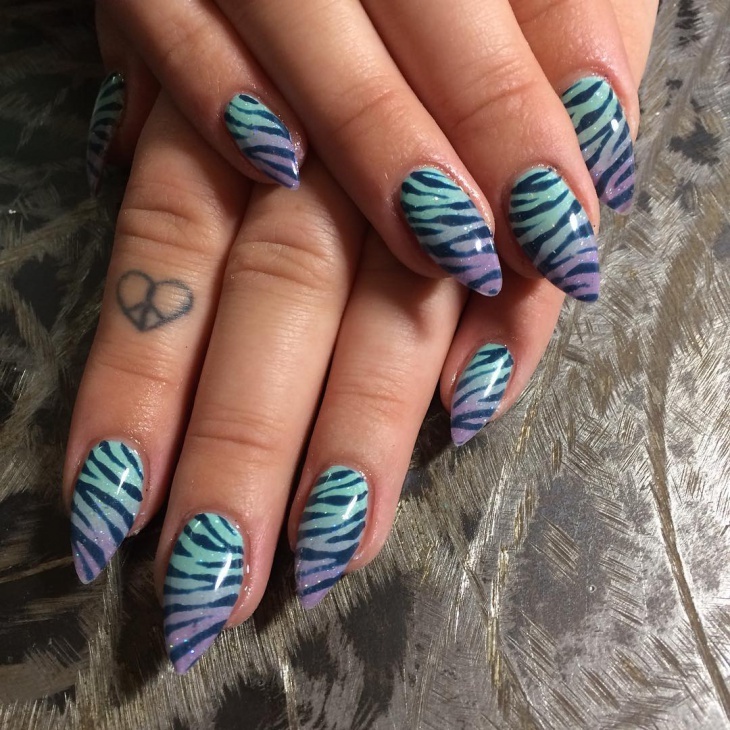 Look how neatly the zebra designs are done onto the nails. 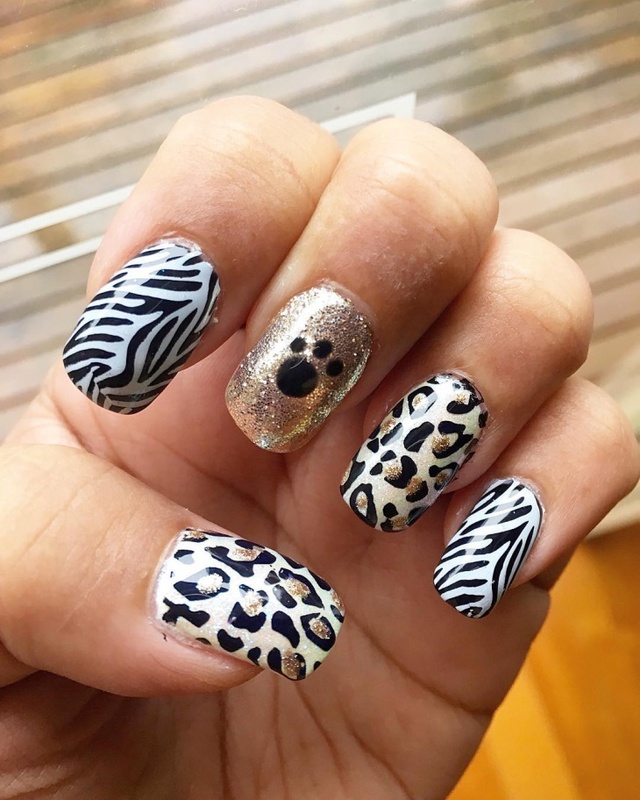 The paw print on the nail painted with golden is just an adorable design. 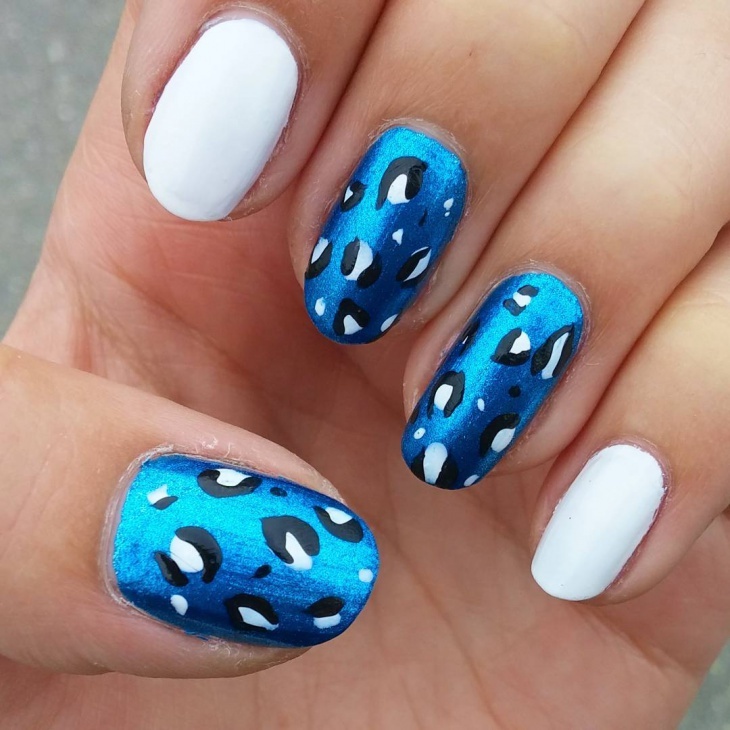 We love everything about this nail art and we think you should give it a try too. 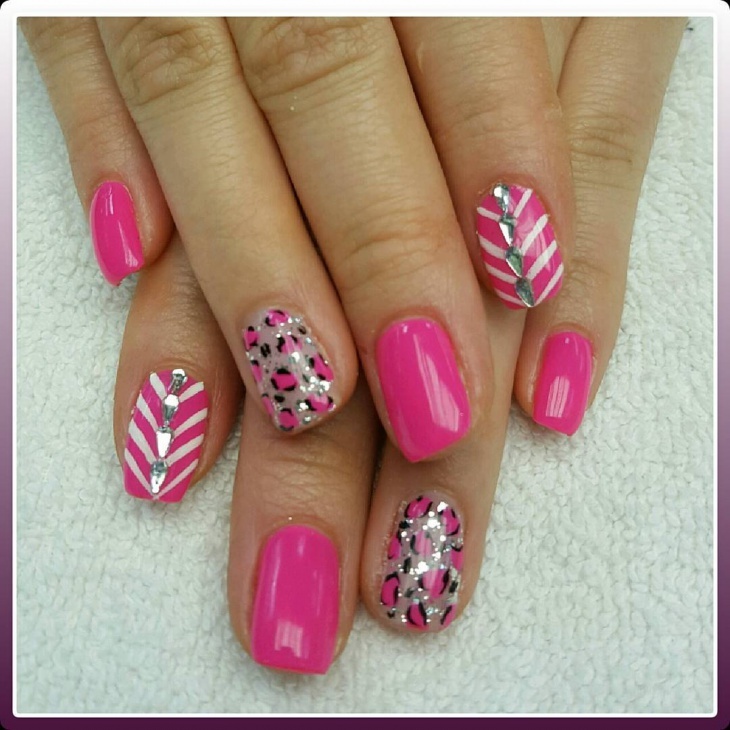 The gel baby pink design with very minimalistic animal print touch given to it looks classy. It is plain yet different and will definitely catch people’s attention. 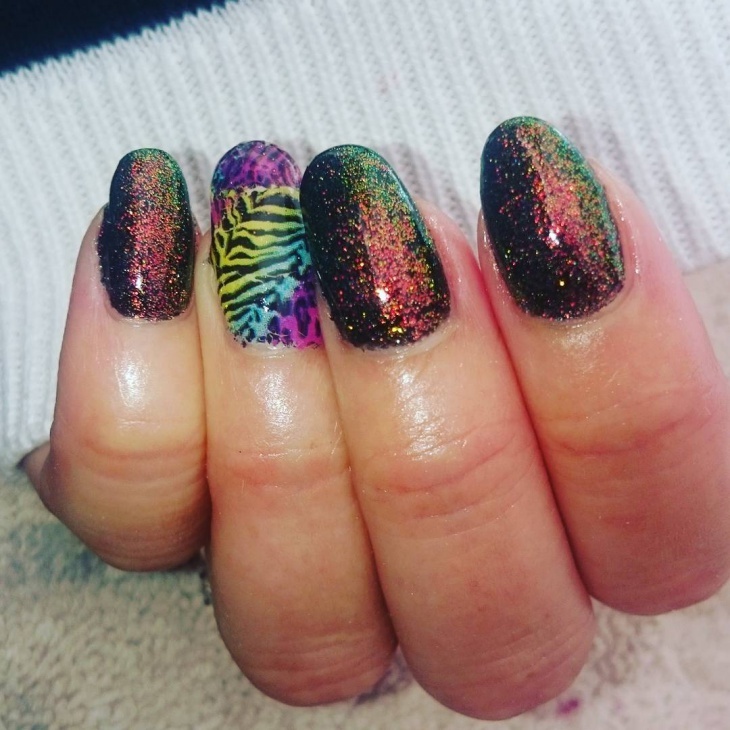 Animal print has been a constant throughout but what is different in this is that particular nail with glitter on it. We would recommend this to anyone who loves the glittery stuff. We have given you 10 different options to choose from. Everything is catchy and no doubt, you will be setting trends after this. Don’t wait, go get these done and flaunt them away.